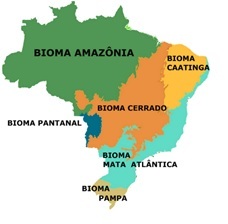 In the northeast of Brazil, where the Amazon transitions t o the Catinga biome through a small strip of Cerrado, lies almost 60% of the land that Brazilian paper producer Suzano uses to source timber. This is one of Brazil’s poorest and least developed regions, with a large low-income rural population that depends for its livelihood on small scale farming. Most do not own proper land titles, as vast parts of the land have never been properly registered. Agribusinesses see it is as the country’s last agricultural frontier and in the past years there has been a strong expansion of large-scale monocultures here, mostly of soy and eucalyptus. This has been paired with landgrabs, forged land titles, forced evictions, deforestation, water scarcity and loss of livelihoods for many rural communities. Suzano owns and leases an area of 726,000 hectares (ha) in this region, spread over the states of Maranhão, Pará, Tocantins and Piauí. [i] Around half of this landbank is Forest Stewardship Council (FSC) certified and is used to feed its Imperatriz mill. [ii] But the other half is not, and it lies predominantly in the east of Maranhão, too far away to feed the Imperatriz mill. For these plantations, Suzano had other plans: a pellet mill in the Baixo Parnaíba region and another pulp mill in Palmeirais, in the state of Piauí. [iii],[iv] Due to a combination of licensing and financial problems, neither project has materialised so far. But the plantations are still there. Suzano has been present in the Baixo Parnaíba region, in the northeast of the state of Maranhão, since the 1980s, when it started to develop eucalyptus plantations there through its subsidiary Paineiras. Over the years it expanded its landbank by buying plantations from other companies, like Margusa and Gerdau. A large part of these eucalyptus trees was used to produce charcoal for the steel industry. At the same time, Suzano used the plantations to research eucalyptus varieties that are more resistant to sandy soils and drought. [v] It is not clear if Suzano has also planted test fields here of its genetically modified trees, for which it obtained a commercialisation license in 2015. As of 2005, Paineiras intensified its expansion in the region and in 2010 Suzano announced plans to build three pellet mills, of which at least one would be in the Baixo Parnaíba region. [vi] The pellets were specially meant to be exported to the European Union, where the Renewable Energy Directive (2009/28/EC) that was approved in 2009, has given use of biomass for energy generation a new boost. Interview with members from three different communities in the Baixo Parnaíba region, on the social and environmental conflicts caused by the expansion of eucalyptus plantations. According to a recent FSC report, Suzano now has a landbank of 116,267 ha in the Baixo Parnaíba region, and another 140,795 ha around Palmeirais. [xvii] How much of this land still contains native vegetation and how much has actually been converted to plantations is not clear as it is not detailed in the report. Data from IBGE, Brazil’s statistics institute, shows that in 2016 there were 17,609 ha of eucalyptus in the region of Baixo Parnaíba. [xviii] However, a preliminary analysis of satellite images by EPN seems to indicate that the area of eucalyptus plantations is likely to be at least three time as large. These are probably not all owned or leased by Suzano, but as the company lacks any large competitors in the region, it is likely to control at least a large part of these plantations. In the region of Imperatriz, where Suzano opened a new pulp mill in 2013, its expansion has caused relatively few social conflicts. But on the other side of the state, in the Baixo Parnaíba region and in the state of Piauí, conflicts abound. The company, which is now the world’s largest pulp producer, should take serious steps to solve all these conflicts in a way that is satisfactory to the affected communities, and implement policies that prevent any new conflict from arising. [ii] SCS, 2018. 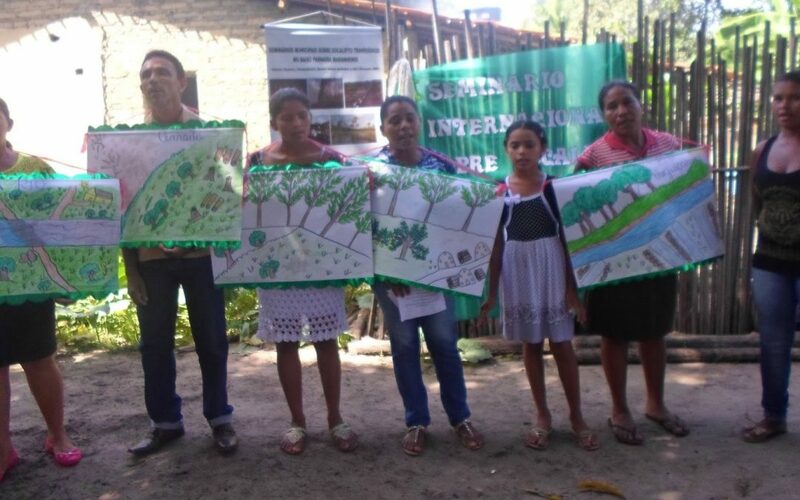 Relatório de avaliação para certificação de manejo florestal e cadeia de custódia desde a floresta até a saída do produto, da Suzano Papel e Celulose S.A, UNF Maranhão, SCS-FM/COC-004725, p15. Available on: http://fsc.force.com/servlet/servlet.FileDownload?file=00Pf300000szvuREAQ, accessed on 23-12-2018. [iv] Suzano, 2008. Apresentação para investidores, Dezembro 2018. Available at http://ri.suzano.com.br/ptb/6131/Apresentao%20Institucional%204T08.pdf, accessed on 22-12-18. [viii] Marques, 2016. A territorialização da empresa Suzano no campo em São Paulo e no Maranhão. p11. Available at https://seer.ufs.br/index.php/geonordeste/article/view/6160/pdf, accessed on 23-12-2018. [xvii] SCS, 2018. Relatório de avaliação para certificação de manejo florestal e cadeia de custódia desde a floresta até a saída do produto, da Suzano Papel e Celulose S.A, UNF Maranhão, SCS-FM/COC-004725. Available on: http://fsc.force.com/servlet/servlet.FileDownload?file=00Pf300000szvuREAQ, accessed on 23-12-2018. [xviii] IBGE, 2016. Silvicultura. Tab28 – Área total de silvicultura por espécie. Available at https://www.ibge.gov.br/estatisticas-novoportal/economicas/agricultura-e-pecuaria/9105-producao-da-extracao-vegetal-e-da-silvicultura.html?=&t=downloads, accessed on 23-12-18.